Home Sports Congratulations to Qatar for making it to the finals! 29th of January is definitely a memorable day to mark for Qatar, as they have made it to the finals at the Asian Cup 2019 by defeating the UAE with a magnificent 4-0. 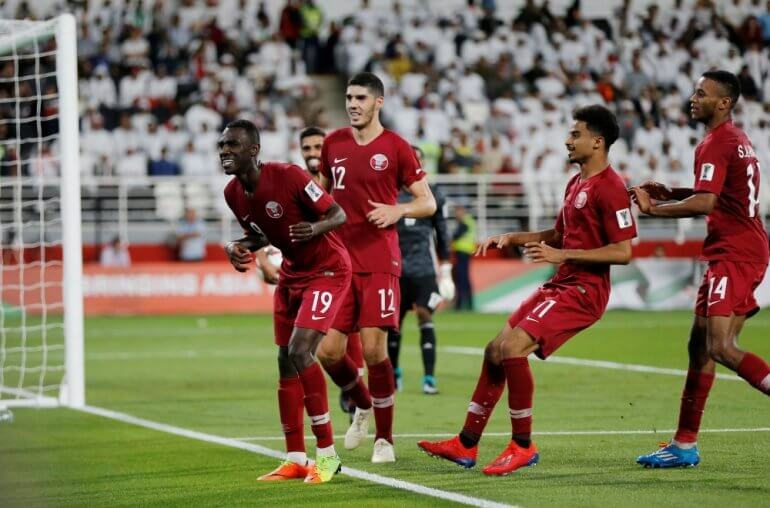 Qatar took its first goal with Boualem Khoukhi taking the lead within the first 22 minutes during the first half of the match, with Almoez Ali following up with the second goal of the match at the 37th minute. During the 2nd half, Hassan al-Haydos scored the third goal in the 80-minute mark, followed by Hamid Ismaeil sealing the deal with the 4th and final goal during the extra time added after the 90 minutes. This match has definitely marked a historic milestone in Qatar, with the country progressing in football. As the hosts for 2022, such a victory puts a name for Qatar for excelling in the field and taking over the world of Sports. It’s the first time Qatar has entered the finals in the Asian Cup and has won all 6 matches so far. Qatar is to play against 4-title champion Japan this Friday. Celebrations were taken around the city to express support for the national team, with cars lining up at the Corniche with citizens raising the Qatari flag, singing the National Anthem and honking to a tune to show pride. Aside from National Day celebrations, the night of the 29th was a memorable one for all to express unity. Are you ready for the finals on Friday? Let us know your thoughts about the match!